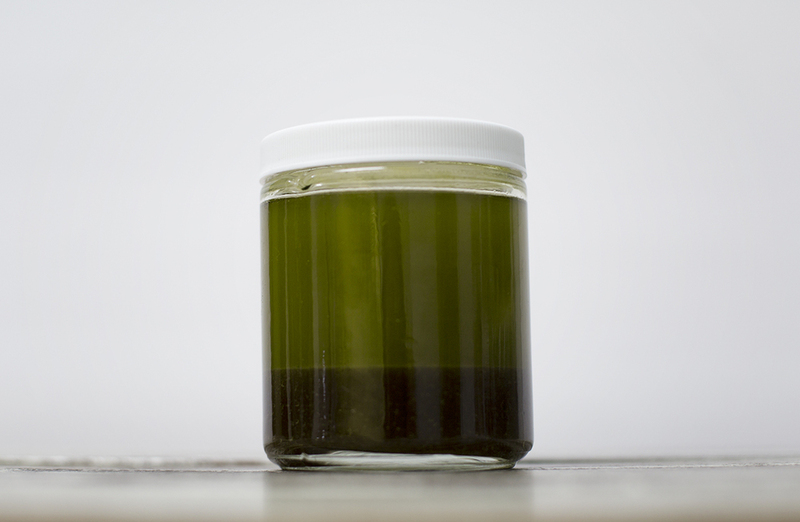 Here's a recipe for a super potent medicated ghee. Unlike the butter recipe, I decarbed the cannabis to activate the THC even more! Can't wait to bake with this beautiful green ghee! 1. Set your oven to 310ºF and set your sous vide water bath to 85ºC (185ºF). 2. Create a envelope with foil and fill with cannabis trimmings. Once the oven reached temp, bake the cannabis packet for 10 minutes. 3. After 10 minutes, remove the activated cannabis from the oven and pour into blender along with melted ghee and water. Blend. 4. Pour the cannabis mixture in a mason jar, seal, and place in water bath. Sous vide for 2 hours. 5. After 2 hours, gently remove jar from water bath, strain, and let cool. 6. Pour the ghee and water mix back into a jar and refrigerate. The ghee will separate from the water. Use the ghee for baking and discard the smelly water. Enjoy!